We were driving downtown last weekend, and Piper saw a statue of George Washington off in the distance. George’s lack of modesty caused Piper to launch into the following lecture. Naked isn’t funny. Or is it? 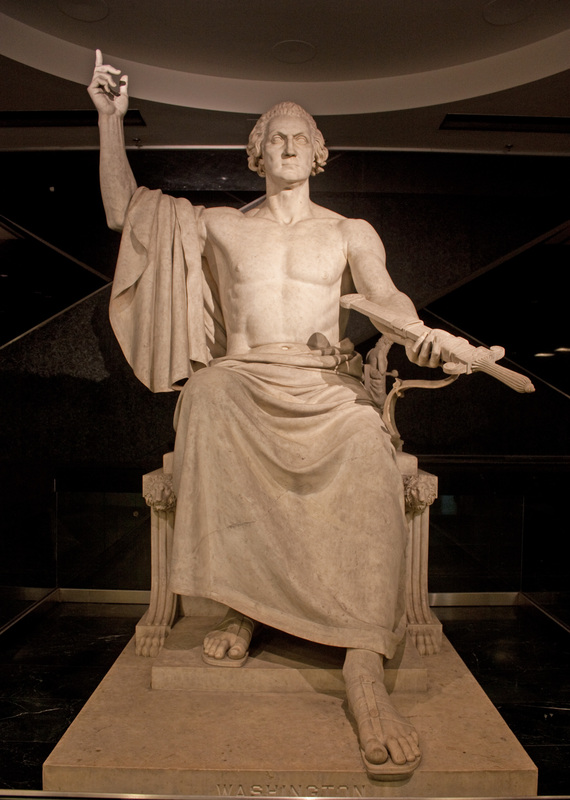 This entry was posted in Daily Dharma and tagged george washington statue, naked isn't funny, piperism by melissa.scholes.young. Bookmark the permalink. Piper, you are right. Naked is gross. Piper is always right. I just do whatever she tells me to, even if it means being a nevernude. It really is. Naked is just funny. Especially mooning. That’s hilarious.